Description: This beautiful parcel fronts on the county road with astonishing views of the valley below and the Black Hills in the distance. 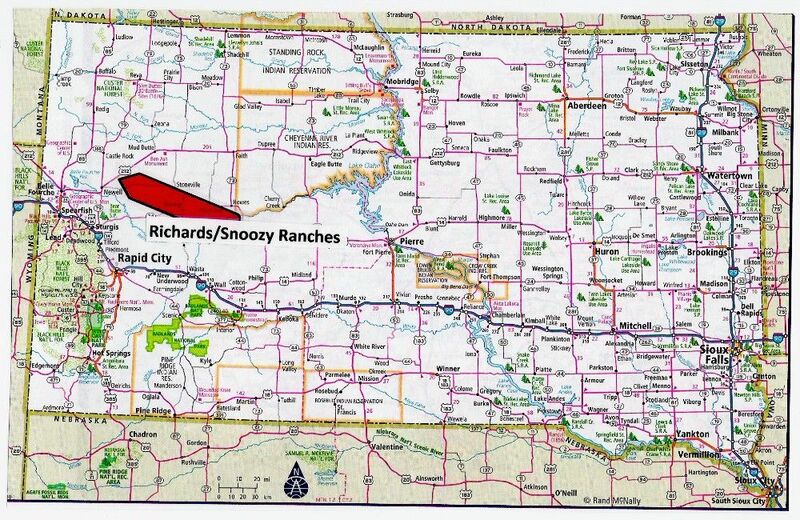 It would be hard to find a tract of land anywhere in South Dakota located on a county road for a lower price or better purchase terms. With trillions of new dollars being printed by the federal government to support the growing national debt, paper currency will be worth less and less in the future. And because no one can “print” anymore land, it will be worth more and more in the future. Price: $32,995 with $1,995 d/p and balance of $31,000 payable at $310 per month (amortized over 186 months including 9% interest, with no prepayment penalties and no credit checks). 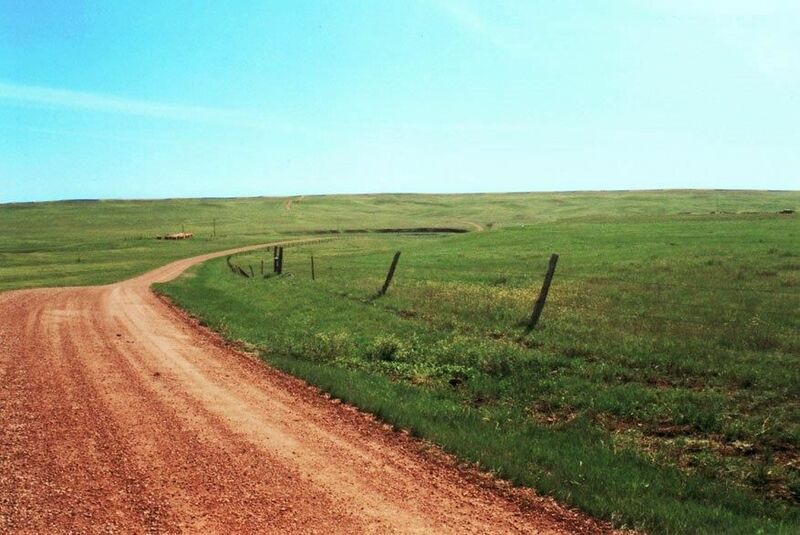 Access/Roads: State statutes in South Dakota provide for public access along all section lines and in addition private easements have been recorded across adjoining private lands. The map show that this particular parcel, however, fronts on the county road. Improvements: This is raw, undeveloped land and no improvements or homeowner services of any nature are being represented. Power lines, however, are just a few feet away. 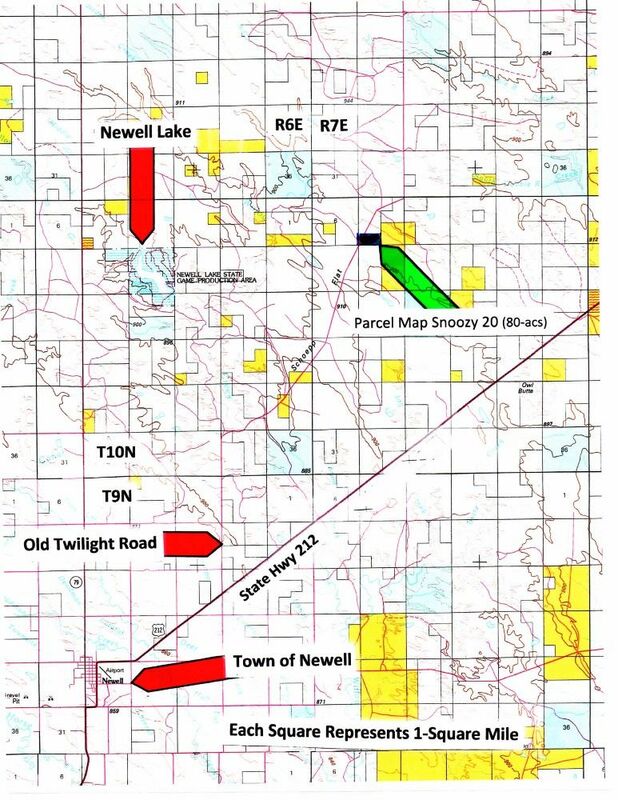 Directions: From the small town of Newell (which is located 20 miles east of Belle Fourche, SD) proceed northeast on Hwy 212 approximately 3 miles to Old Twilight Road; then proceed north on Old Twilight Road for about 10 miles and refer to the parcel map where the arrow points to the precise property for sale.